Windows operating system, code named Mango, for mobile handsets has several familiar applications of a PC. The smartphone market, which until now was majorly dominated by Google's Android and Apple's iOS, is making space for the new entrant — Microsoft's Windows operating system (OS). Code named Mango, this new OS for mobile handsets comes powered with many familiar applications of the most popular operating system in the PC world. And as the new Windows 7.5 OS devices appear in the market, users are now spoilt for choice. Aniket Barve, an engineer in BSNL has pre-booked a Nokia Lumia 800. He claims, “I have seen a few Windows 7.5 devices including HTC's Radar, and Samsung's Windows smartphones. None came close to how Nokia has bundled the software on its hardware.” Nokia which has partnered with Microsoft last week announced the launch of two smartphones — Lumia 710 and Lumia 800. Nokia is already celebrating the successful launch of its latest Lumia series. “Around 79 per cent of consumers have given positive feedback on the handset during testing. 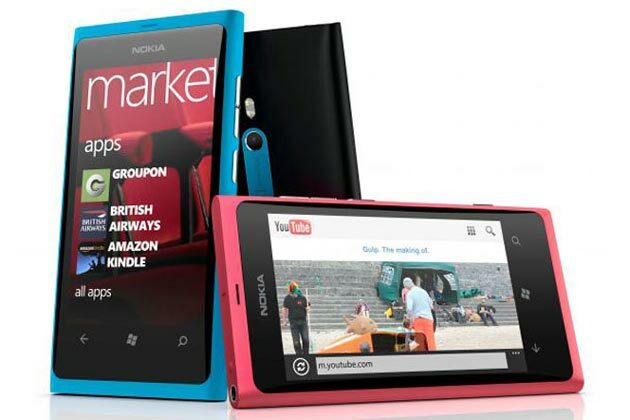 We will be coming up with other smartphones on the platform," confirms Prashanth Mani, general manager at Nokia India. But Windows platform is not going to be restricted to Nokia alone. HTC too is said to be planning to widen its smartphone category based on Windows 7.5 OS. For now, HTC has just one model, HTC Radar that runs on windows 7.5. “We will focus on more phones in January March quarter, and provide a premium experience on the Windows platform,” says Faisal Siddiqui, country head of HTC in India. According to StatCounter data, mobile OS market in India is presently dominated by Symbian OS with over 60 per cent market share. Android OS follows at about 4 per cent. Windows OS is estimated to have less than 1 per cent market share. “Slowly as more device makers are using the Windows platform, the volumes would become significant going ahead,” notes Naveen Mishra, lead analyst of telecoms practice at CyberMedia Research. Meanwhile, Microsoft is doing its share to advertise its PC-handset synergies but might face some stiff competition in India. “The smartphone market is very competitive,” says Alok Shende, principal correspondent and co-founder of Ascentius Consulting. Shende classifies smartphone users into two categories - the innovators who for experiment with high-end phones, and others who go for feature phones which offer good value for money. Those with high aspirational value go for Apple and Galaxy, while there is a range of handsets from Sony Xperia, and Samsung on the Android platform for each of these categories. “There is tight competition in all these categories,” he says. Well aware of users' need to have a flourishing app store, Nokia and Microsoft are said to be working on increasing the number of localised applications that will give their devices an edge. “The application ecosystem is growing very fast. Nokia and Microsoft is working with thousands of developers to come up with locally relevant applications for India. In fact, at the time of launch Lumia devices will support close to 1000 apps that have been developed keeping Indian users in mind,” says Mani of Nokia. The hurdle? Windows 7.5 is primarily meant for the smartphones and so the prices are on the higher end. Nokia Lumia 710 starts at around Rs 18,999 and the Lumia 800 costs Rs 29,999. Windows smartphones from other vendors like the Samsung Omnia W, too, cost about Rs 20,000 while HTC, known for premium smartphones, has one Windows 7.5 device that costs around Rs 24,000. On the other hand, Android, which has been embraced by many handset makers both Indian and Chinese, are as low as Rs 5,000.